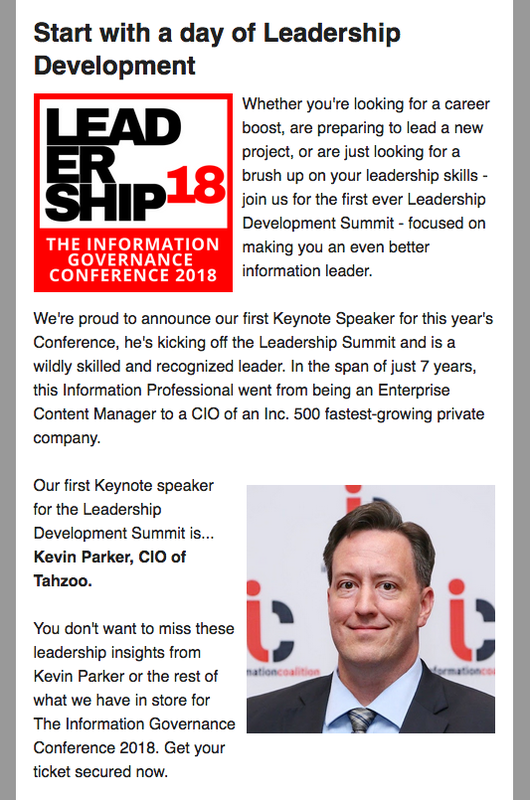 On September 19, 2018, I was the featured speaker for this AIIM Webinar on intelligently capturing documents into existing LOB applications. The slideshare also includes the YouTube replay. Or you can just watch the replay from this post below. How simple solutions are readily available, with easy integration into your existing applications. Thanks to AIIM, the Association of Intelligent Information Management, for the opportunity to present at this webinar. I was working with my team on using our Exchange Online user attributes to create a new custom signature. But I could not find a definitive reference listing the user object attributes. So I went back to PowerShell and got it myself. I did this by getting a user object and exporting it to a CSV file. These are all the attributes I found with "Get-User". There are also custom attributes available as part of an ADUser object. I still have some digging to do. These are mapped as extensionAttribute1, extensionAttribute2, and so on. I am not certain how all these map to each other, so your mileage may vary. Note: Some of these are more important that others, and some are likely deprecated or obsolete. Use this list at your own risk! Customer experience management is generally the domain of the chief marketing officer (CMO) and the marketing department. Information governance usually falls into the domain of attorneys and records managers. It’s time these two groups got together to explore ways they can serve their organization’s mission better as a team. When planning a new content management system, you almost always have to plan for content migration. It doesn't matter if you are working with enterprise content, records, knowledge, data, or even web content. If there are any information architecture changes required, the migration will be more complex than a simple "lift and shift" of content. This is often a great time to clean up information ROT (redundant, obsolete, trivial). This can make the new information repository cleaner and often lower the effort of the actual migration process. The migration should usually be done at a time when no users are interacting with the content, otherwise you will have to deal with the delta of change in the content. The process should be planned and tested in a staging/testing environment in order to verify that all the content will be moved correctly by the planned migration process. If there are issues, revise and repeat until it works and has been verified. Then throw that test data away and redo the migration to the new production destination, allowing for much higher likelihood of success and avoiding a delta of content to reconcile. People who interact with the content as part of their job need to be informed and then verify that they have the information in the new location and can do their jobs. A little training at this point will go a long way toward successful adoption of the new solution. Remember: You are not just migrating content, but also people and processes. Another thing to keep in mind is this: Depending on the information architecture, which should largely depend on your business processes, not all content necessarily has to be migrated at once. Focus on units of content that would cover individual business processes if it would work better to migrate in phases. For each phase of migration, the following process can be adapted to your needs to ensure a successful content migration. Inventory source content and metadata. Determine records and information management requirements. Create destination site architecture and design. Create cleanup and migration plan. Communicate migration plan to affected users. Create staging site for test and cleanup. Migrate a copy of the source content to staging site. Test content cleanup in staging site. Validate test cleanup and migration. Customize cleanup and migration procedures. Migrate content to staging site again, for final cleanup prior to migration to final destination. Create the production site for migration. Migrate cleansed content to target site. Verify successful migration completion. If anything goes wrong, you can back out by unlocking the source repositories for continued use while starting this planning again for a future attempt. Decommission source content and source repositories according to retention policies and requirements. I plan to write more about each of these steps in future posts. "Clean up" is a verb phrase, as in "You need to clean up your content." "Cleanup" is a noun, as in "This is the plan for content cleanup." On 5/17/2017 I presented to the Northern Virginia Chapter of ARMA on "Considerations for ERM Implementations". I created this talk with all the highlights I would make if I had only one shot to provide some lessons learned on ERM solution projects. Records Management is an essential component of every organization's Information Management capabilities. If you want to get digital transformation right for better customer experience, do not ignore this critical piece of the puzzle. ARMA NOVA is a great group of information professionals, and I really appreciate the chance to speak to them again. See my slide deck below. Download it from SlideShare if you want to follow the included links to my other content. I recently started a brand new adventure in my career. 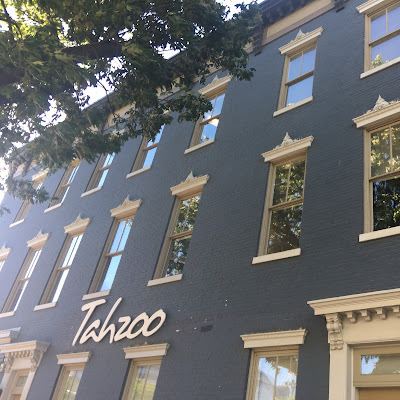 I am now Senior VP/Managing Director of marketing technology labs with Tahzoo, a data-driven customer experience agency based in Washington, D.C. I have been fortunate to work for some great companies and mostly for great bosses. I even had a good long run with my own Web design, hosting, and content management services business. And I have led some great teams over the years. With this new adventure, I am leading more great teams at a company doing cutting-edge customer experience and marketing technology consulting. I'm very excited to be here! There are a lot of smart and happy people working at Tahzoo. Be watching for content from me and my colleagues around the web. Let's go be great! Have you ever had a problem finding information on a website or app? If so, you were experiencing a poor information architecture (IA). Conversely, a great experience with a site or application is only possible with solid IA under the surface. While information architecture doesn't get the headlines that personalization or chat bots receive, when built on a unified information strategy, IA can improve the overall customer experience (CX) in several ways.